SET SAIL WITH US ABOARD × THE REVENGE! 2019 TICKETS NOW AVAILABLE !! Spring Schedule Begins in April ! Jump aboard the pirate ship "REVENGE" at 600 Front Street in Beaufort, North Carolina. Our interactive voyages offer fun and adventure for families and swashbucklers of all ages. Come join our crew, take part in a live pirate show, and enjoy festive music guaranteed to unleash your inner pirate. But be warned; we may need to enlist your expertise to man the water cannons and help defend our ship. Pirate Kegger is always trying to steal our treasure! 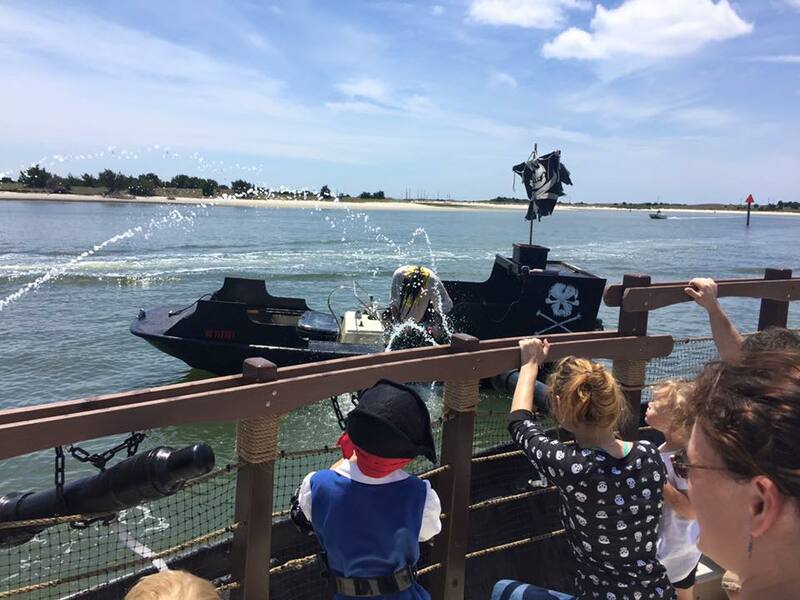 Climb aboard the "Revenge", while our Pirates create a fun-filled adventure with sword fights, singing, a chase on the high seas and water cannon battles for treasure -- an all-around good time! 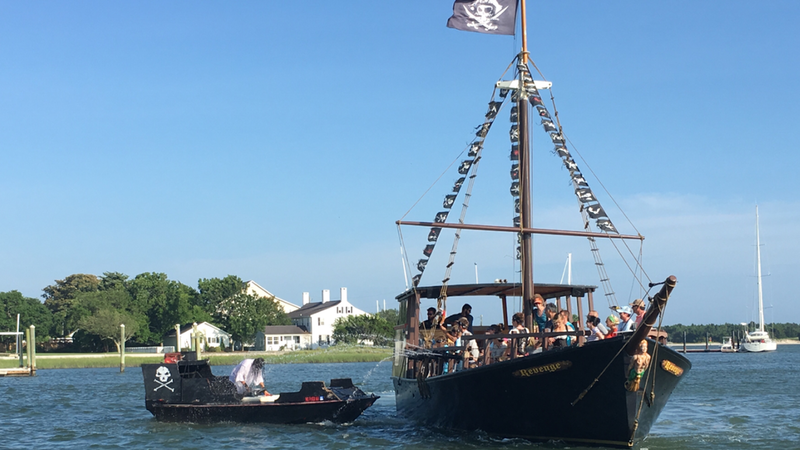 Climb aboard the Revenge for a fun and frightening journey on N.C's only haunted historic pirate cruise. Sail the dark waters of The crystal coast, and return to the days of Pirates and plunderers.